Brazilians know how to score! Post this emoticon to your FB timeline or send it in a private message. We love designing fun emoticons for you to share with all your FB friends. 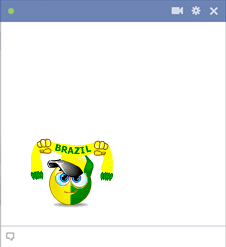 For all you soccer fans, we've decided to promote this special World Cup collection of emoticons.